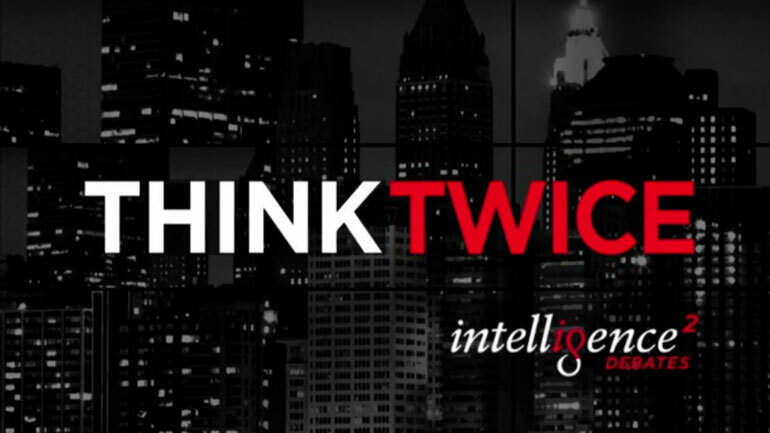 Intelligence Squared is an eight-part monthly series that asks viewers to THINK TWICE. Moderated by ABC News correspondent John Donvan, the stimulating Oxford-style debates were taped before a live audience in New York City, Washington DC, Aspen and Chicago. Based on the highly-successful debate program in London, Intelligence Squared has presented more than 60 debates on a wide range of provocative and timely topics, and has already gained momentum through its NPR broadcasts. From clean energy and the financial crisis, to the Middle East and the death of mainstream media, Intelligence Squared brings together the world’s leading authorities on the day’s most important issues. The popular uprisings of the Arab Spring have left a leadership void that Islamist parties have been quick to fill. A longtime supporter of former strongmen like Egypt’s Mubarek and Tunisia’s Ben Ali, the U.S. now faces the uncomfortable results of Arab democracy – the rise of Islamist parties that are less amenable to the West than their autocratic predecessors. Will the Islamists, who once embraced violence, slowly liberalize as they face the difficulties of state leadership? Or will it mean the growth of anti-Americanism and radicalization in the region? It was 1971 when President Richard Nixon declared a “war on drugs.” $2.5 trillion dollars later, drug use is half of what it was 30 years ago, and thousands of offenders are successfully diverted to treatment instead of jail. And yet, 22 million Americans – 9% of the population – still uses illegal drugs, and with the highest incarceration rate in the world, we continue to fill our prisons with drug offenders. Decimated families and communities are left in the wake. Is it time to legalize drugs or is this a war that we’re winning? On the fundamental question – evolution or creation? – Americans are on the fence. According to one survey, while 61% of Americans believe we have evolved over time, 22% believe this evolution was guided by a higher power, with another 31% on the side of creationism. For some, modern science debunks many of religion’s core beliefs, but for others, questions like “Why are we here?” and “How did it all come about?” can only be answered through a belief in the existence of God. Can science and religion co-exist?